Hi everyone! 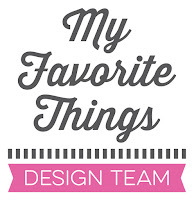 Today is the first day of the My Favorite Things May release countdown. This release is packed with amazing new products! You’ll love them! The new products will officially be available on the MFT online store on May 2nd at 9:00 pm EST (= Europe: May 3rd at 3:00 am CET). Most of the supplies I used for this project are linked in the link-up tool at the bottom of this post. I created a clean and simple scene using different images from the Beach Bunnies set. I love the cute beach huts. But most of all, I’m SOOO happy that MFT made a Cloud stencil!!!! I often do cloudy sky backgrounds so this stencil is so helpful and I’ll use it again and again! I sponged Distress inks over the stencil and created the beach in the same way, using a Post-it strip as a mask. I fixed the images with foam pads to the background for more dimension. Cute card I love the scene and I have the bunny set on my wish list. It´s so cute. And the sand looks really like sand. Great cards! Super cute and that bunny looks so happy! Love it! Awesome rainbow cabanas for the charming bunny to enjoy! Such a beautiful and sweet scene. OMG that adorable bunny and then the sentiment that made me smile. Really nice job. Very sweet. Such a sweet, sweet scene!! I'm just loving that new cloud die! Thanks for showcasing it so wonderfully! I love your card. The soft edges you created on the sand and sky are beautifully done. Cute little bunny and huts. 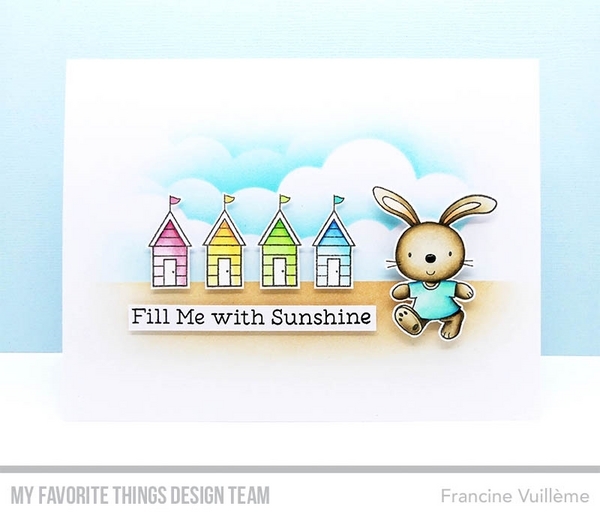 Such a cute card, Francine! Beautiful fluffy clouds and your Copic coloring is just amazing, as always! I love your shading techniques. Great card. SQUEE! So darn adorable Francine. Great cards. I love the first one.